A few days back, I had written about The Great Game being played. The Great Game is an advanced form of conflict, a new-age Cold War confrontation. India, in order to face this kind of conflict, needs to evolve a new strategic doctrine covering our nation's long term security, foreign affairs and economic policy. We cannot, cannot, afford to look at any of these policies in isolation any longer, any more. We need to know what our interests are, very clearly - that's the first step to evolving a doctrine. As Henry Kissinger had said "There are no permanent friends or foes in diplomacy, only permanent interests." India's security policy for long has been Pakistan-centric . But it has become very obvious in the recent past that the real danger lurks somewhere else. And that threat is spreading slowly but surely, like a malignant cancer, all around. That threat is China. But sadly. our strategy has been to downplay all the moves that China makes. I was appalled by the statements from the army chief Gen. Deepak Kapoor, the National Security Advisor, M.K. Narayanan and the Prime Minster that these were not major incidents. We need to accept the situation, we should not downplay, but we should not create a hype - it is a delicate balance that our strategic minds need to maintain. But we should, silently, prepare towards building a military strength and capability to counter the Chinese. Towards this, we could learn a bit from Sun Tzu, the Chinese philosopher and author of "The Art of War", who said "In peace prepare for war, in war prepare for peace." To be in a absolute readiness for war or peace, as the case may be, we need a co-ordinated approach between the administration, diplomats, intelligence agencies and the armed forces. We need to evolve and institutionalise a think-tank of opinion-makers in these fields to strategise and deliberate on various war and peace scenarios. The government then needs to merely implement the capability measures that would be distilled by the think-tanks. This would also delink the strategic thought from petty party politics. Sun Tzu also said "If you know your enemies and know yourself, you will not be imperiled in a hundred battles... if you do not know your enemies nor yourself, you will be imperiled in every single battle"
To know our enemies, we need credible intelligence. Developing a capability for intelligence gathering is most critical. Intelligence experts still rue the gradual demobilisation of human intelligence (humint) networks that India had within Pakistan and other neighbours during Mr. I.K. Gujral's days as prime minister. Mr. Gujral's fascination for anything sarhad paar has cost dear and made us incapable of gathering even the basic intelligence. We need to build humint again, in Pakistan and also, more importantly, in China. Why can we use Tibetans for that? Besides humint, India should also look at e-espionage in a big way. We are a country full of geeks and we can build on that knowledge. Quite a few Indian companies have entered the Chinese and other markets. Surely Indian spies can enter these countries undercover as employees of these countries to snoop on them. India needs to build intelligence gathering capabilities in China, extremely fast. We can learn a lot from Israel on humint, afterall Mossad has been very effective in gathering intelligence in a hostile environment. Military capability building is the next step. It is well known that India has for long relied on Soviet and Russian military hardware. That served us well for all these decades. But the Admiral Gorshkov episode (India's acquisition of a mothballed Russian aircraft carrier) has proved that we cannot bank on the Russians alone to built our capability. We need to diversify our supply base, in order to avoid arm-twisting. In a sense, the Indian establishment has recognised that. The pointers for this come from the Indian Air Force's order for the European Airbus A330 multi role tanker transport (MRTT), despite having the Russian Ilyushin IL78 in its fleet. 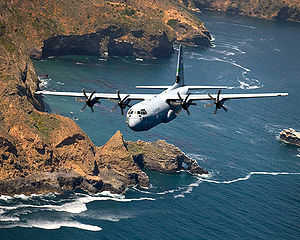 Subsequent orders for the C-130J Super Hercules transport aircraft and the Poseidon P-8I naval reconnaissance planes, both of which are American products, have driven the point home in Russia that India cannot be taken for granted. We need to realise that the Russian armament industry is in doldrums and we can surely get a good bargain. The Russians are watching us closely now. 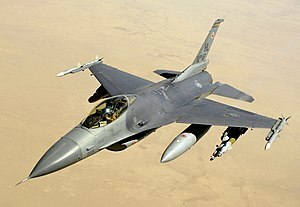 They are prepared to offer India a license for manufacturing Sukhoi Su-30MKI fighters. They are also likely to bargain hard for Indian Air Force's tender for the supply of 126 multi role combat aircraft. India's bid to diversify the military supply options could put it on a different plane in its relationship with Washington. It remains a fact that defence contractors are big lobbies on Capitol Hill. And we can leverage on these lobbies to our advantage to gain American support for other significant issues. The Indian defence establishment needs to focus on building a military capability spanning the globe, this crucial for protecting Indian economic interests worldwide. 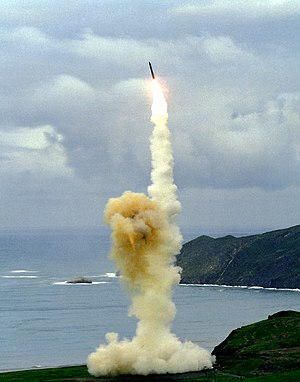 Towards this end, India needs to develop an Intercontinental Ballistic Missile (ICBM) capability fast. Thankfully now, America would be amenable to making dual-use technology available to India. India must also leverage on its relationship with Israel for availing technology and furthering joint development of advanced armaments. There is a limit to which a superpower can rely on others for capability. We need to provide more funds to take defence research projects ahead. Ultimately, there is nothing like self-dependence. Undoubtedly a successful military alliance complements internal capabilities. India should know that the days of the Non-Aligned Movement are over, finally, good riddance, I would say. Now India should take a lead in rallying an Asian alliance to counter China. The alliance was talked about about 5 years back, but died a premature death, with regime changes in Australia. Across Asia, there are quite a few nations that have a deeply ingrained mistrust towards China. Taiwan, Vietnam, Japan, South Korea and Singapore are among them. We need to forge a military alliance with them, with America providing back-stop guarantees as well as a nuclear umbrella. We need to send a strong signal to China by taking up the Tibetan cause as well as supporting Taiwan's bid for the membership in international fora. India's handling of the Tibetan issue has been a classic case of hypocrisy and double-speak, so far, after the grand Nehruvian blunder in 1959. Our support for the Tibetan issue can unsettle the Chinese establishment, which we should leverage on. Tibet is a trump card India has against China. A military alliance in Asia, closer ties with Taiwan and support for the Tibetan cause would be the tiger's roar in response to the string of pearls that the Dragon is making. Last but not the least, we need to lobby hard to get into the United Nations Security Council at the earliest, in order to achieve diplomatic parity with China. We American help for this, it would be tall order to do it solely. To achieve unequivocal support from Washington on this, the defence lobbies in Washington would be a big help, for which doling out defence contracts to the likes of Boeing, Lockheed, Northrop, etc. at regular intervals would help. We can take on the Dragon, surely and successfully. The only condition for this is careful planning and flawless execution.... Let's do it! I would like to disagree with you on a few counts...its not new news that there have been transgressions on the Indo- China border.. but that is because we have never taken the border demarcation seriously. I dont think China is wrong grossly nor is it a true threat. India is being sought desperately by the US to buy its hardware...please see these articles in that respect...they seem to be engineered by the US..sponsored by them through their stooges. These transgressions were there earlier too..then why were these reports of attack never in the news...Bharat Verma of the IDR was the first one to set the dice rolling in this matter. It would do good to check the motives behind that trend setting article. The last two months appear to be a well planned US strategy...very typical modus operandi of corporate US with tacit US backing. China gains nothing from this fracas....noises like the opposition to Dalai lama's visit have been usual...we should not attach too much importance. However, in the case of nuclear proliferation...that is a different matter and steps must be taken in that regard..which is altogether different dimension.